TWO criminals have been shot at after they tried to escape police dragnet while 10 others have been apprehended in Chirundu. One of the suspects who was shot at on the pelvic, identified as Barton Nkoma of Gabon compound in Chirundu is currently admitted at Mtendere hospital in Chirundu District while his colleague managed to escape with gunshot wounds. 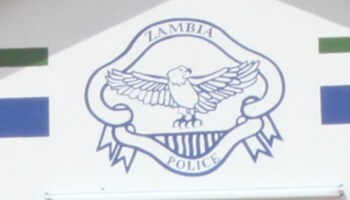 Acting Police spokesperson Danny Mwale said in a statement today that the incident happened yesterday around 03:00 hours after a combined operation by the Zambia Police Service and Drug Enforcement Commission (DEC). “Officers had received information that a group of suspected criminals who had camped at a certain compound in Chirundu had been terrorizing the area mostly in house-breaking cases. Police recovered various items among them Pepper sprays, a toy pistol, camouflage uniforms, illicit drugs and cellular phones from the criminals,” Mwale said. And Mwale said police have launched a manhunt for the wounded suspect and has further urged members of the public including Health Institutions like clinics and hospitals to report any suspected case of gunshot wounds to the nearest police station.